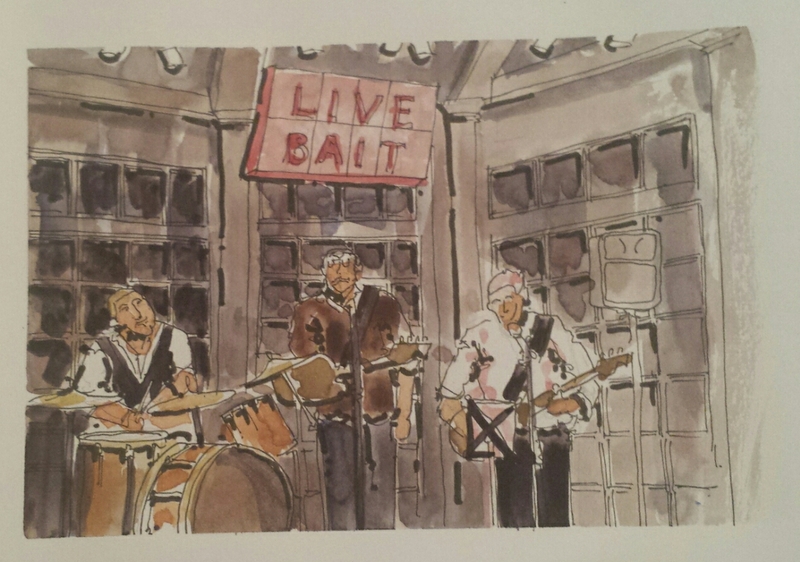 trio was playing in the tavern under a neon live bait sign. 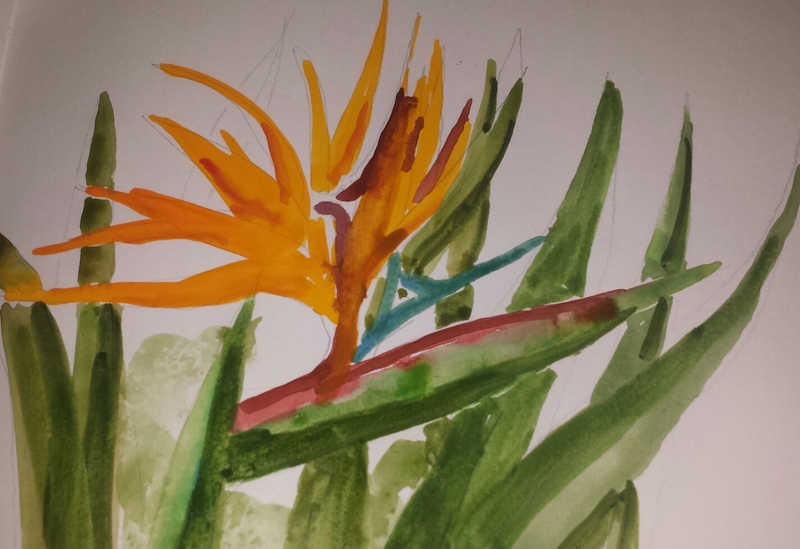 The ink and watercolor sketch was completed from a photograph this morning in my Travel Journal. 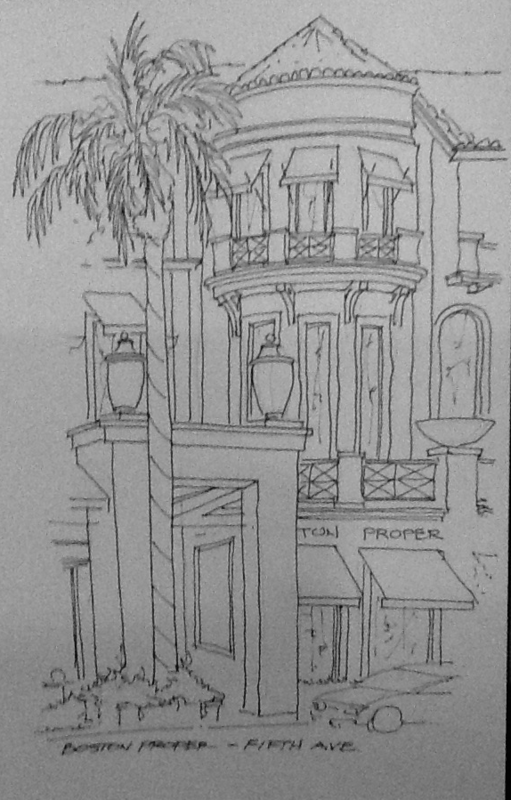 Black and white sketch while sitting in the shade on Fifth Avenue in Naples. Great pedestrian scale architecture. 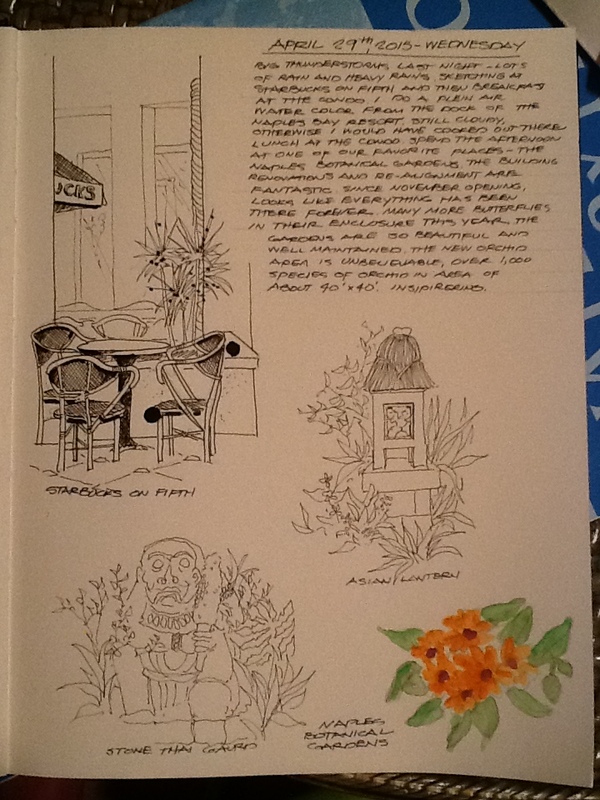 Faber-Castell black pen line drawing in an Alpha Series Stillman and Birn Sketchbook. 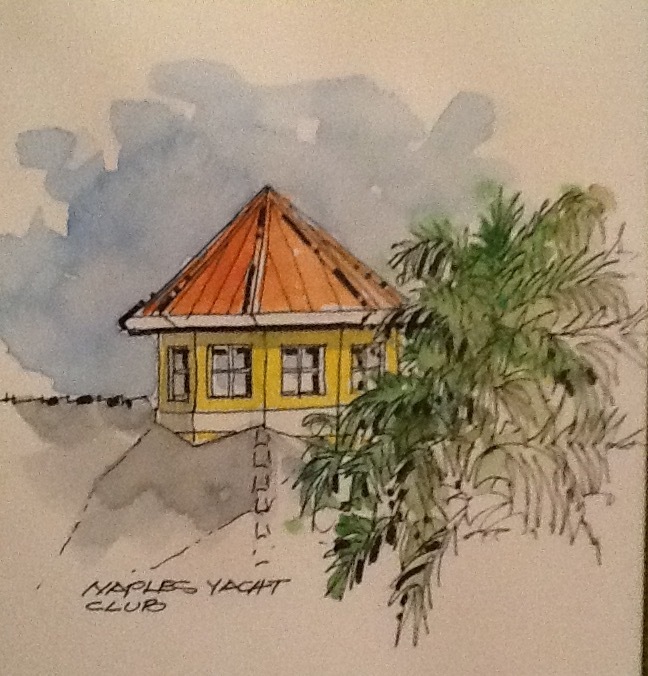 Another quick watercolor sketch in Naples. 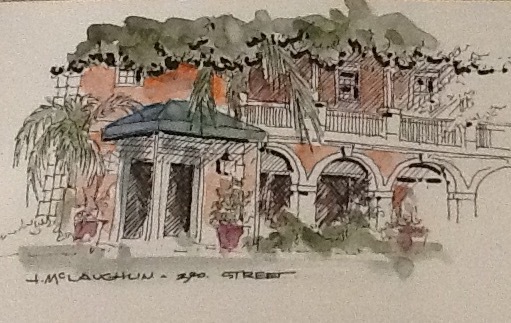 Sitting in the shade under a Banyan tree trying to cool off and sketching the building across the street. Spring has finally arrived here in the Northeast. The snow is gone, the nesting birds have returned, flowers are in bloom and pollen is in the air. 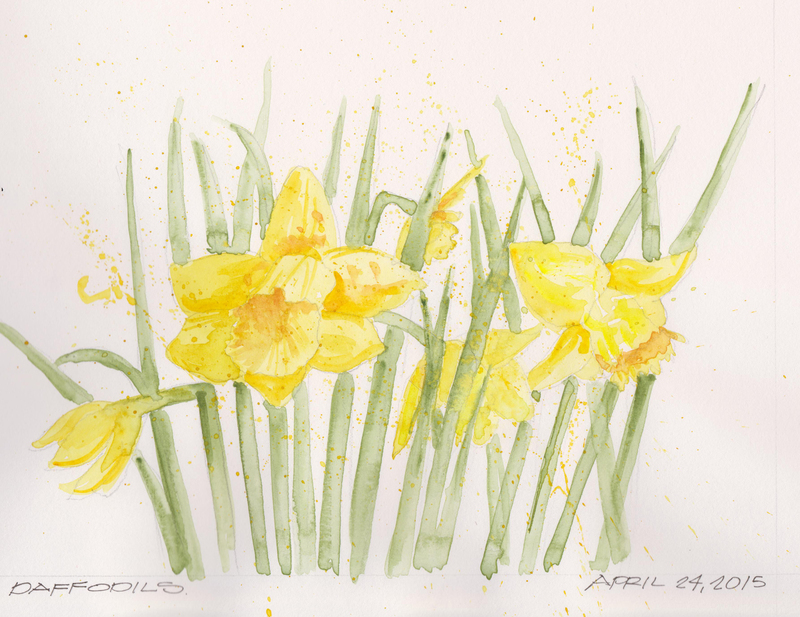 It is a beautiful sight to see the daffodils and the Hyacinth in bloom in the yard. A sure sign of spring. Happy Spring everyone. Utrecht watercolors in a Stillman and Birn Sketchbook.